Popcorn Time is back from the dead! Is it a MPAA honeypot to track movie pirates? Popcorn Time that was dead and buried last year after Motion Picture Association of America (MPAA) claiming it had successfully shut down the service by catching the people behind it is making a surprise comeback. 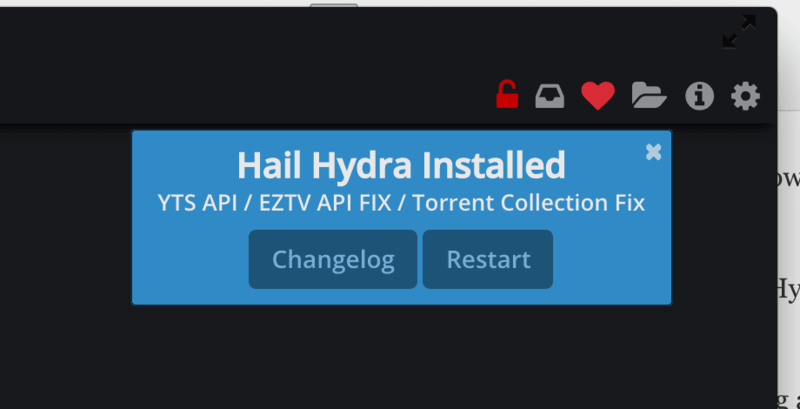 The original app suddenly started functioning again today — and received an update titled “Hail Hydra” with a number of bug fixes. Ironically, part of the infrastructure used for the surprise return is owned and controlled by the MPAA. Late last year the main Popcorn Time fork, operating from the PopcornTime.io domain name, shut down its website unexpectedly. The MPAA took credit for the fall announcing that it had filed a lawsuit against several of the developers in Canada. In response to these legal threats several key developers backed out and left the official GitHub and Twitter accounts. The new team has ditched Popcorntime.io and has come up with a new Website with a different domain name, as well as the official GitHub becoming active again and the original Twitter account tweeting the news. What’s strange, however, is that nobody seems to know who is behind the updated app. Torrentfreak talked to the original team, which claimed to have nothing to do with the revived app. It is important to note that the original team is still actively being sued by the MPAA. The case gets more weirder as a number of the domains being used by the app are still controlled by the MPAA, yet the project still uses private keys that match the original team’s for distribution. To make it more eerie is that the GitHub has seen active development during past few weeks and the updater is using a domain that appears to be in someone else’s control. The new Popcorn Time has some cosmetic changes like a new ‘legal’ Butter engine the team had originally created for getting access to movies and removing the premium VPN option from the app. It also allows you to customize where the torrents are actually sourced from. From the looks of it, this seems a classic case of a honeypot being sponsored and supported by MPAA and the authorities to track down movie pirates. If you are really interested in the all new Popcorn Time, do proceed with caution till the time more information about the new owners is available. IT’s probably just a glitch in the backend. It’s highly unlikely the MPAA could use the honeypot for anything and Popcorn Time uses public trackers anyway so IP addresses of users are easy to obtain anyway.